The 2019 Cricket World Cup was put on display in Cupertino. Cupertino had the honor of hosting a public display of the Cricket World Cup trophy on Sept. 2 during a public function with past and present mayors of Cupertino. 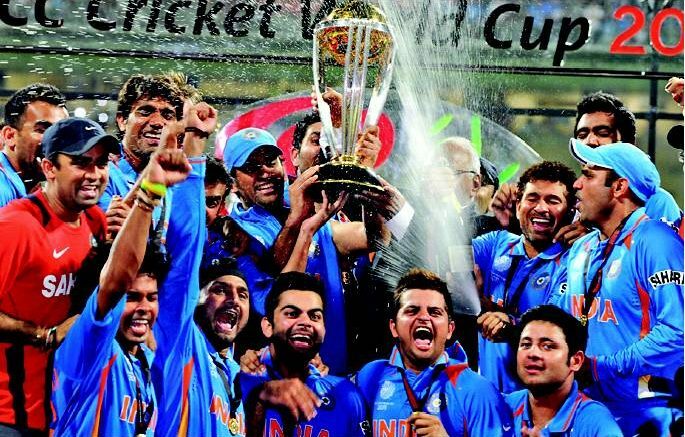 The International Cricket Council (ICC) sends the Cricket World Cup trophy all over the world to be displayed in 27 countries. The purpose of the traveling trophy is to spark people’s interest in the game of cricket, and to encourage people to learn the sport. The California Cricket Academy was founded in Cupertino in 2003, making Cupertino an excellent location for the trophy to be displayed. ICC officials spoke at the public function, sharing information about the traveling trophy and the function of the ICC. The event confirmed Cupertino’s commitment to promoting cricket in the region. The 2019 Cricket World Cup is set to take place from May 30 to July 15, 2019 in England. Be the first to comment on "Cupertino displays 2019 Cricket World Cup trophy"